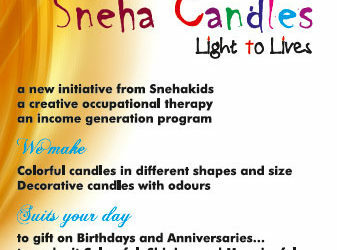 Snehagram is the second phase of the Snehacare intitative for the care of CLHIV. It is a residential programme for boys and girls who are 13 years and above with a focus on vocational training and rehabilitation. Snehagram facilitates a preparatory platform for the adolescent CLHIV to enable themselves to face the challenges of life when they reach their adulthood. 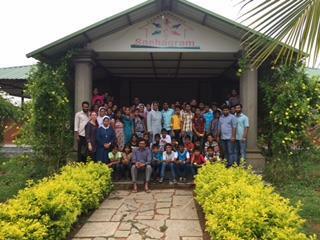 Snehagram was started on 22nd June 2013 with 25 children in the first batch. The campus was formally inaugurated on 20th July 2013. It has a facility for 100 boys and 100 girls. All the needs of children- education, vocational training, psycho-social support, health management, life skills and development of living values and leadership qualities are comprehensively addressed at Snehagram. This unique model is evolved to meet the long term needs of childhood development, adolescent issues, personality development, value development, employment, family and community acceptance. Our mission is to ensure quality of life and future of the orphan and vulnerable children infected with HIV and lead them to a healthy and productive adulthood, by comprehensively addressing their real and felt needs on education, health, psycho-social support, vocational training and life skill education. To enable the children to develop their skills through vocational training based on their aptitude. To encourage the children to attain optimum education based on their scholastic performance. To ensure quality of life by providing nutritional support and emotional well-being through psycho-social interventions. To build self esteem and confidence through a comprehensive vocational training initiatives.